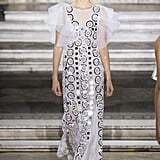 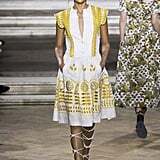 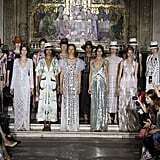 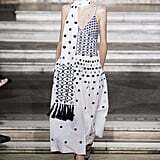 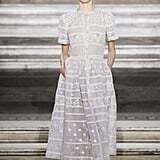 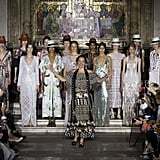 A huge disco ball above the catwalk suggested a disco-tastic collection from Alice Temperley, so when the first crop of models stepped out in folksy sundresses, it was a bit of a surprise, even if that is the designer's bread and butter. 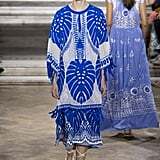 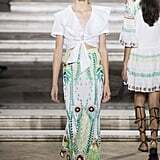 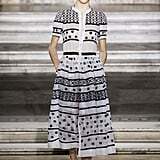 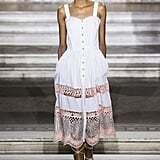 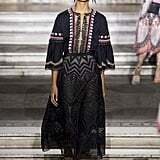 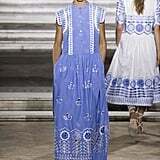 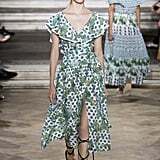 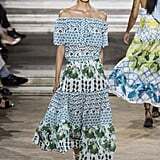 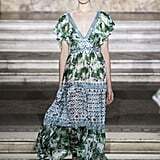 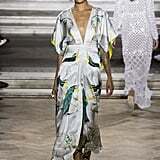 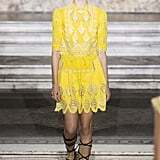 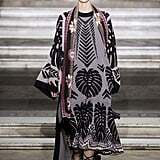 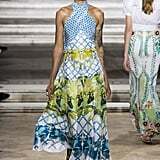 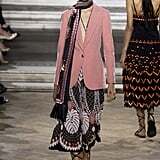 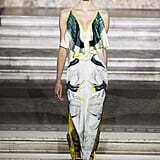 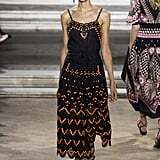 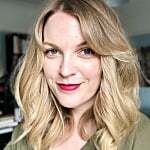 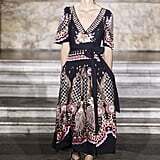 Mid-length, tiered designs with frilled off-the-shoulder details were particularly pretty, as were button-down skirts worn over shorts (very '50s Italian Riviera) and blue embroidered and printed cotton tunic dresses that cried out to be photographed on far-flung beaches by bohemian bloggers. 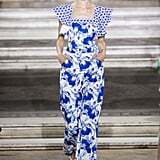 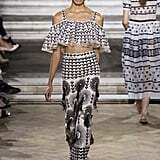 Culottes and cropped wide-leg trousers also featured heavily, on both day and evening wear, in a silhouette the designer has really made her own in the last few seasons. 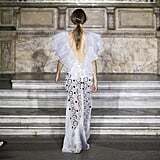 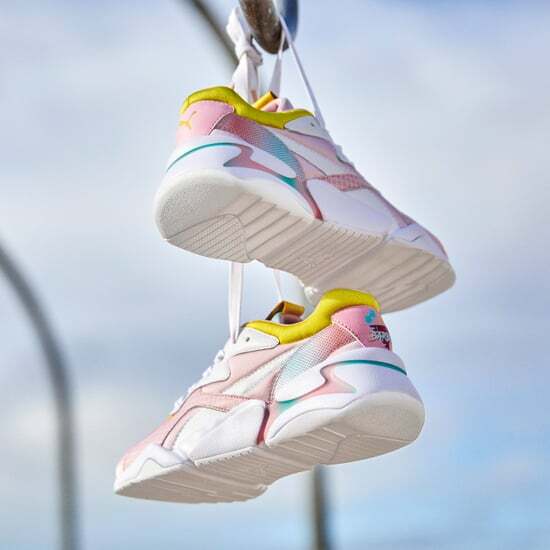 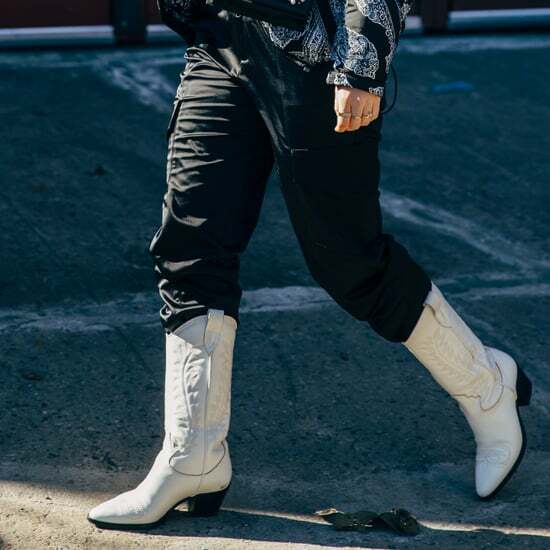 Particularly chic were a pair of looks, in white-on-black and then its reverse, featuring embroidered culottes with chic fitted waistcoats to match. 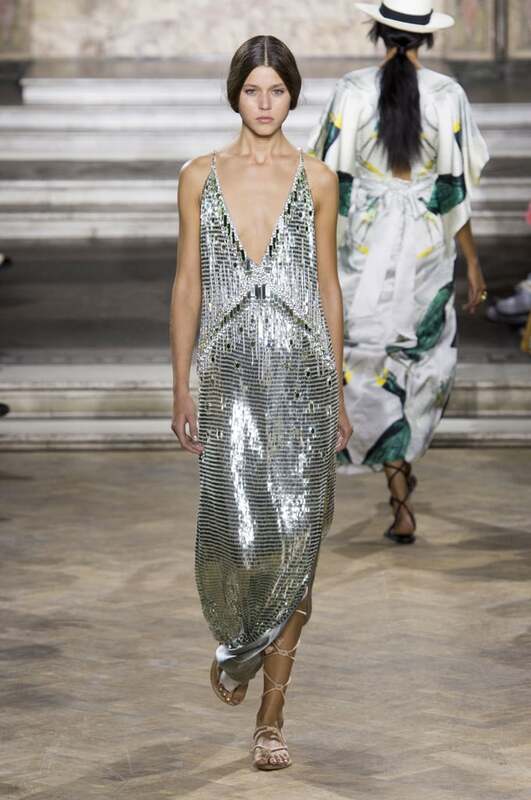 As for the disco ball, all was revealed much later, when the collection segued into evening, and a series of glamorous looks shimmered down the runway in liquid-metal finishes, with glitter and bugle beads aplenty. 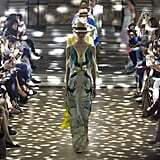 The models took their final walk to the shimmering lights of the disco, and everything came together.